Lonzo Ball is currently a member of the UCLA Bruins. His team is one of the most entertaining in college basketball, evoking memories of the old Showtime Lakers, who played not too far down the road at the Great Western Forum. Lonzo has two siblings in high school who have committed to the Bruins, LiAngelo and LiMelo. And their father, LaVar, wants them all to receive the same shoe deal, and he has his asking price already: $1 billion. As the elder Ball told USA Today: "A billion dollars, it has to be there. That's our number, a billion, straight out of the gate. And you don't even have to give it to me all up front. Give us $100 million a year." If Lonzo doesn't sign with Nike, Adidas, or Under Armour out of college, Ball said he'd sign him to his Big Baller Brand. He filed for the trademark for that name last year and was recently granted the trademark for use on athletic apparel. Ball, who has compared Lonzo to Steph Curry and claimed he himself could take Michael Jordan one-on-one, is going after Jordan in another area: fashion. 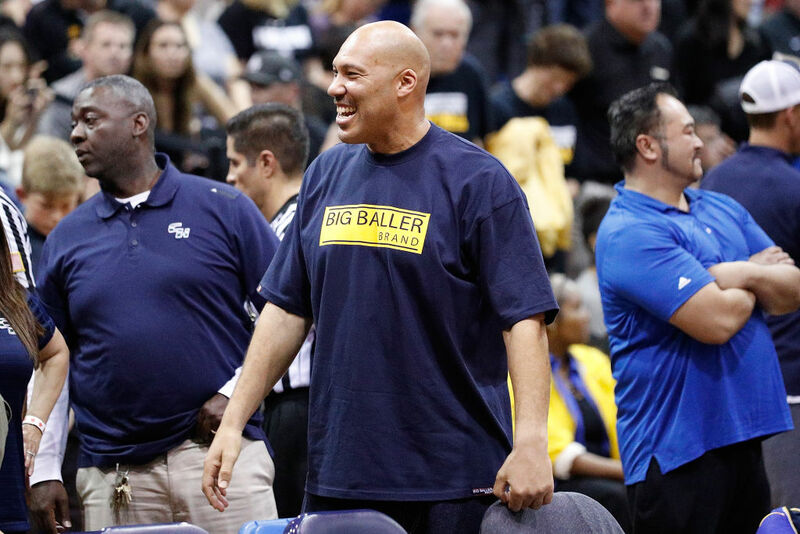 The Big Baller Brand would be even pricier than Jordan Brand gear. It's no surprise from a man who loves glitz and glamor. His two sons that have a driver's license both drive $100,000 BMWs. Ball may find it difficult to get a package deal for all of his sons, though. The earliest it could even happen is March 2020, when the youngest son would have completed his freshman year of college. Lonzo will likely be a top 3 pick in this summer's NBA Draft, LiAngelo will attend UCLA next year, and LaMelo has two more years of high school before he'll head to the Bruins. A billion dollar endorsement deal isn't entirely unheard of: Nike signed LeBron James to a lifetime deal in December 2015. That contract's reported value is more than $1 billion. And Jordan receives $100 million annually from Nike in guarantees and royalties for his Jordan Brand. Nobody else makes more than $30 million a year. So, will we expect to see the Balls rocking the same shoes in the next few years? A lot of it may have to do with how Lonzo and the Bruins do this year. Returning to the Final Four or even taking home a championship would go a long way towards building buzz as Ball heads to the NBA. For now, LaVar is serving as hype man. And he wants to make sure the entire world knows about his sons.